The other night, I happened to be battling a severe bout of insomnia. This wasn’t a simple matter of counting sheep for a couple hours and not falling asleep. No, this was a full-blown case of having said sheep turn around evilly, stampede through my brain, malevolently jump out of my head, scamper down my back, and then run frantically around my home. Oh, should I mention that I had a high temperature and was self-medicating with NyQuil and orange juice? Yes, I was sick, feverish, and wide-awake. That meant I was ripe for unintentional TV bingeing. The entire cast was so attractive and so perfect in their parts, it was as if a producer had ordered them to be genetically engineered in some covert Central Casting laboratory. Each performer had his or her unique strength, and the writers and directors really knew how to cater to their stars’ potential. 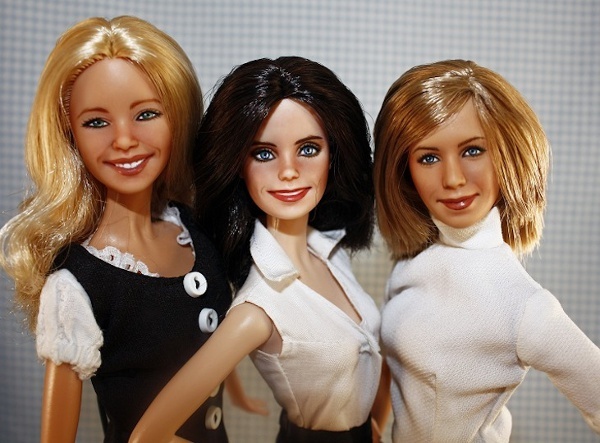 It’s a shame that NBC and the sitcom’s production team didn’t license their likenesses for a line of dolls. I think that the Rachel and Ross duo could have given Barbie and Ken a run for their money! 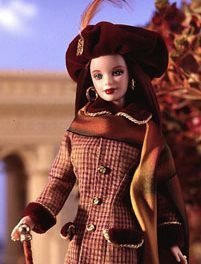 One of the episodes that I caught was entitled “The One with the Dollhouse,” and it was very funny and also very smart about the different way adults approach dolls and owning them. In this episode, Monica (Courteney Cox) inherits a dollhouse that belonged to her rather mean and severe aunt Sylvia. The house is enormous and the very embodiment of a Victorian Dreamhouse. Its decor is very pristine, elaborate, and precise. In other words, it is the ideal showplace for Monica, who likes to have things arranged just the way they are meant to be. 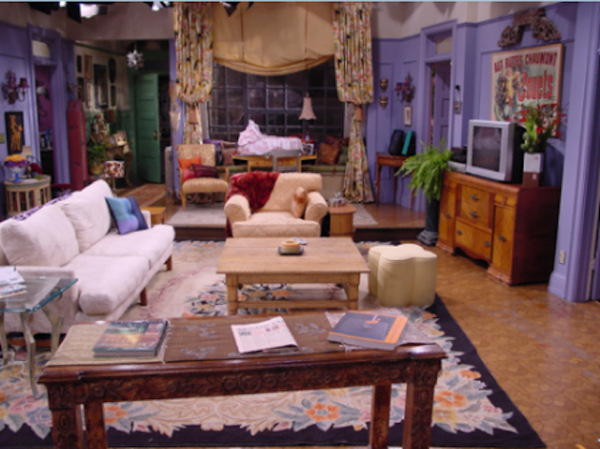 I imagine Monica’s flat is so funky because Phoebe (Lisa Kudrow) once lived there. 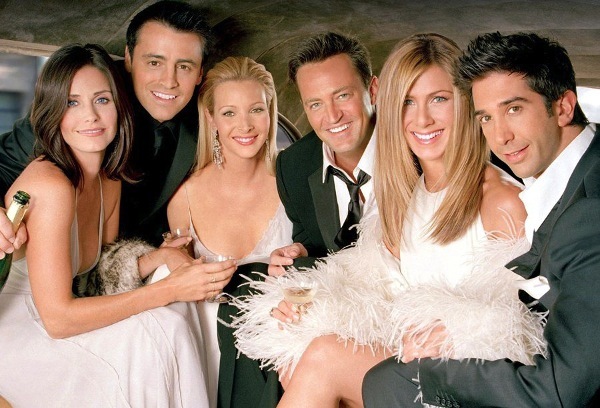 Only in the sitcom universe could someone as ditzy, and simultaneously street-smart, as Phoebe Buffay be friends (and onetime roommates) with any individual as controlling and uptight as Monica Geller. But that’s the beauty of a 22-minute comedy — reality never has to interfere with the goings-on. If it garners a laugh, it works. Phoebe, naturally, sees Monica’s big, brand-new inheritance and wants to contribute to the dollhouse. However, in true Phoebe fashion, that doesn’t mean adding a delicate new purchase to a room or carefully arranging the period-perfect furniture already there. 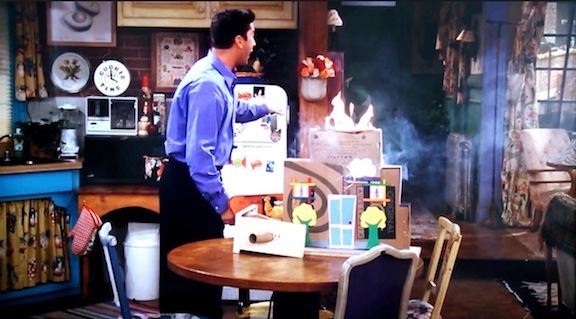 Phoebe sees a dollhouse and Phoebe thinks “dolls, play, fun, now!” In a great interlude, Phoebe brings an assortment of “junk” that she’s amassed and attempts to integrate into the dollhouse. 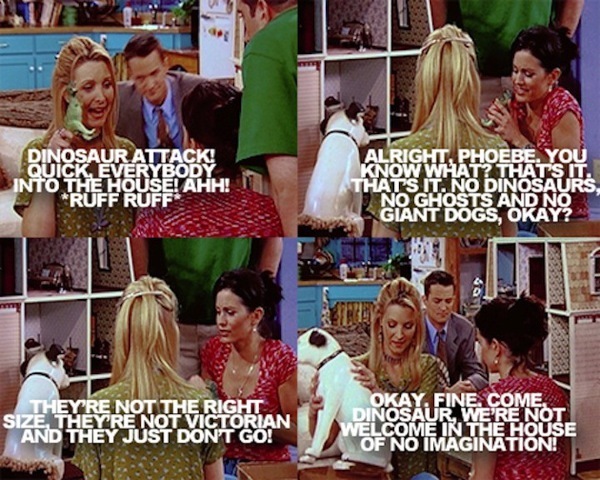 Monica cannot believe that her friend is trying to shove a plastic dinosaur, a make-believe ghost, and an enormous RCA Victrola dog statue into her carefully crafted Victorian house. The confrontation ends with Monica explaining how Phoebe’s toys aren’t the right scale, don’t belong to the correct era, and are just plain wrong. 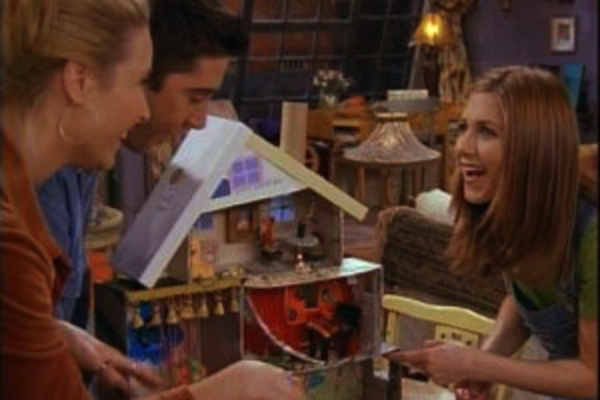 Phoebe refers to Monica’s dollhouse as “the house of no imagination”! Phoebe wants to own a dollhouse so she can exercise her penchant for fantasy and make-believe. She builds her own version of a house from cardboard and dresses it up with twinkling Christmas lights, a bubble-making machine, and a room filled with licorice and candy. (The guest bed in her house is a Tootsie Roll-away. )That’s two sides of the collecting coin, isn’t it? 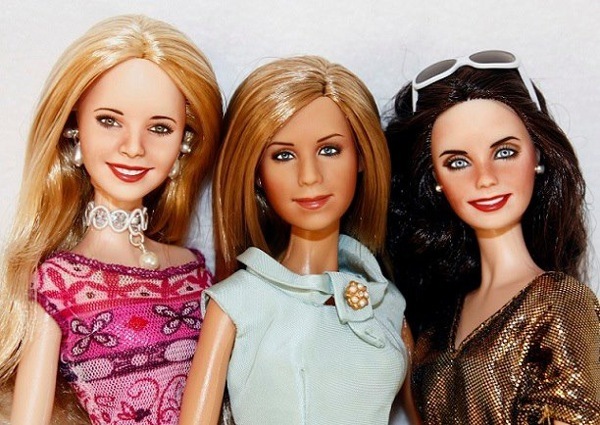 So, which kind of a doll collector are you? Are you a Monica? Do you like to have your collection “just so”? Are you happiest when you see your creations lined up, all looking lovely, gorgeous, and picture-perfect? Or do you side more with Phoebe? Do you pull your dolls out of their boxes? You’ve never understood the notion of MIB, NRFB, or having a doll encased in its original packaging. What’s the point of having a doll if it is sealed in its plastic tomblike box of “seeing but not touching”? Maybe you’re a Rachel (Jennifer Aniston). Yep, even though she doesn’t take an active role in the all-out battle of the dollhouses, she is right there, cheering Phoebe on. She is smitten with all the add-ons and the doohickeys that Phoebe has dreamed up. Perhaps you’re like that. You have a few dolls that you’ve acquired but you haven’t yet done anything with them. You want to jazz them up and get them out of their boxes and into some kind of interactive display. But you haven’t done it yet. 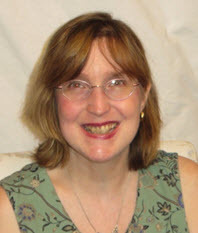 Instead, you look online or on Facebook at all the accomplishments of your fellow collectors and you are so impressed. Now is your chance to figure out who you are. But, keep in mind: safety first when playing and displaying. Phoebe breaks that cardinal rule when her dollhouse’s “aroma therapy” room catches fire and burns her whole construction down. She’s just left with the ashes of her grand dream. At least, her dollhouse ghost came to a fitting end! NextCher and Cher Alike: Happy 70th Birthday, Foxy Lady!